Located on the northern region of the Greek island Santorini, the village of Oia is by far the most famous and picturesque area of the Greek islands. This seemingly untouched corner of the world has a way of capturing the light unlike any other place I've seen. The ancient village is poised right along on the steep mountainside giving you incredible views of both the Mediterranean Sea and the volcano that created the islands. Almost every picture you take here is postcard worthy because it's just so darn beautiful! 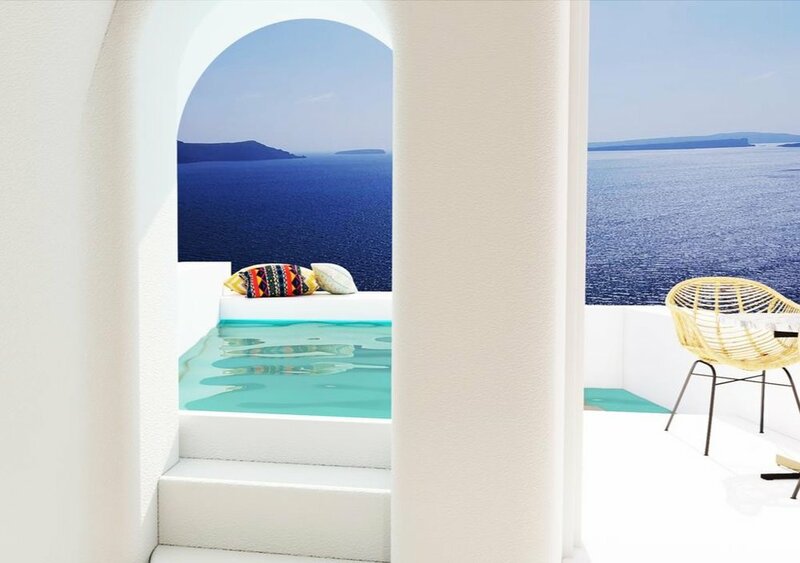 Our Airbnb apartment in Santorini was located on the other side of the island in Perivolos Beach (use my link and get $40 off your first Airbnb stay!). I chose to stay in this area because the beaches are perfect for swimming. The bus ride to Oia was a little over an hour and offered a great tour of the island. We unexpentantly ended up returning to Oia twice because after our first visit the SD card corrupted before I could download the photos (ugh!). But our technical difficulties ended up being a blessing in disguise because we discovered even more beautiful views our second time. The village of Oia was definitely one of the top places on my bucket list and I am so glad we got the chance to make the journey. If you are traveling to the Mediterranean I highly recommend paying it is a visit and seeing these views for yourself. See available dates are rates! See available rates and dates!